An authentic Indian cuisine on Green Lanes. 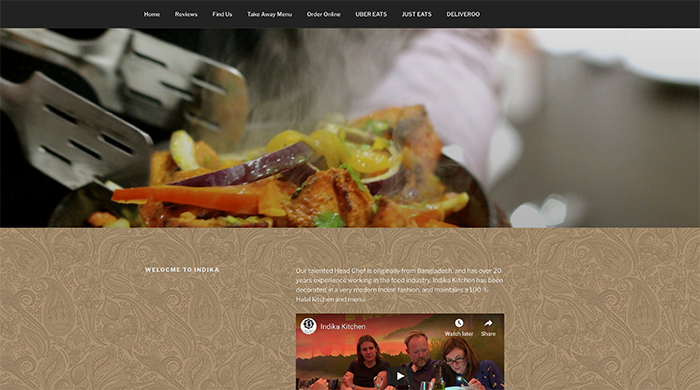 Combining sleek, modern decor with a menu of traditional dishes created using time-honoured recipes, as well as some contemporary favourites, Indika Kitchen is a must-visit for London’s lovers of Indian cuisine. Kick your meal off with some king prawn butterfly, chana aloo puri or lamb tikka before tucking into one of Indika Kitchen’s signature dishes like the salmon bhuna, the shatkora lamb or the Red Hot Chilli Pepper (Boneless pieces of chicken cooked in a very hot sauce with Mr Naga paste, lots of herbs and mixed spices, garnished with spicy onions and coriander).